What exactly is a water shoe? 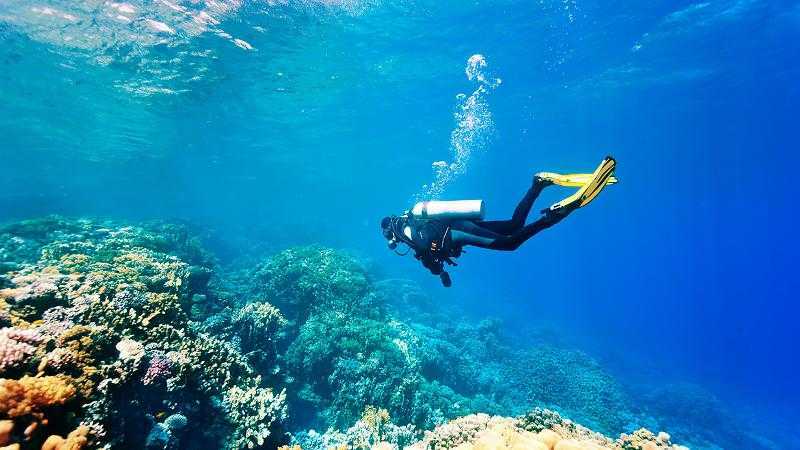 It is a specialized kind of footwear that is designed to provide excellent traction plus foot and toe protection for its wearers, especially when engaging in activities that involve water; it is ideal for use in water sports or on both dry and wet surfaces. Water shoes differ from water sandals since a water shoe’s design involves a closed toe and upper surface for greater protection and support. It wraps the top of the foot, much like an ordinary pair of shoes would. 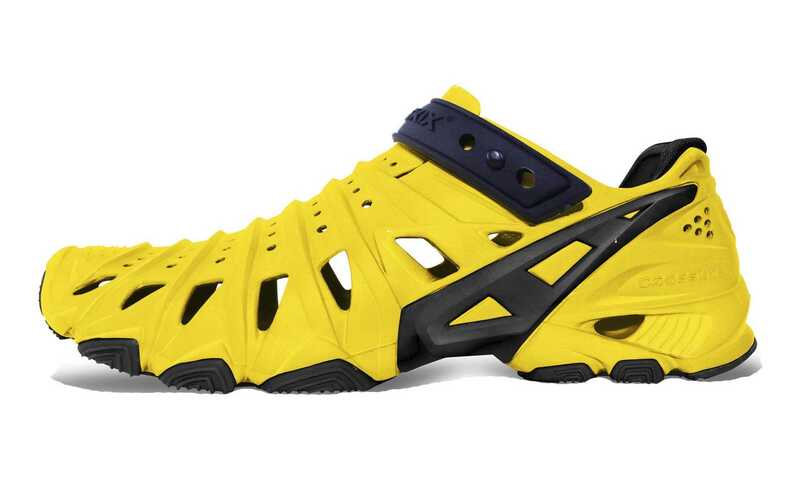 If you are looking for a good pair of water shoes, you can begin your search by reading reviews. 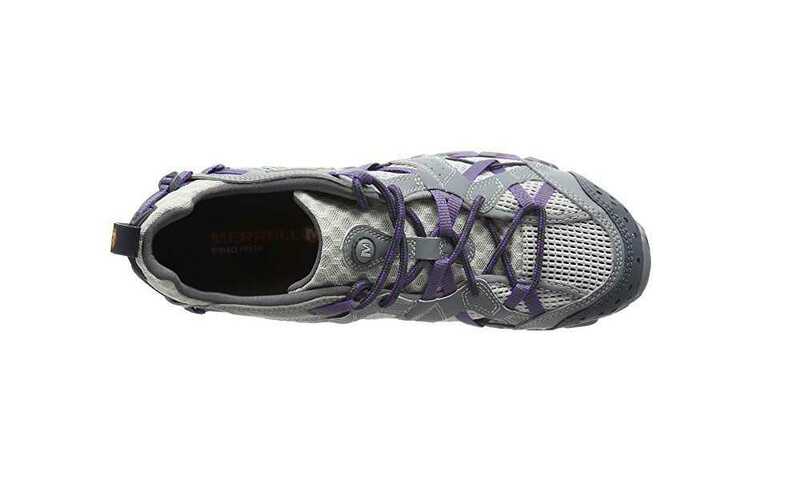 Here is a review of the Merrell Women’s Waterpro Maipo Water Shoe. The Women’s Waterpro Maipo water shoes from Merrell come with a mesh and synthetic leather upper with a Lycra and neoprene stretch collar. It also includes a standard lacing enclosure for a tight and secure fit. The model has an ETC anti-friction lining that is hydro-draining and ventilated, and it also comes with an anti-microbial solution treatment for hygienic purposes. The pair has a molded-nylon arc shank, which decreases impact and provides stability for a good ascent. The Merrell air cushion provided shock absorption and delivered stability for a more solid stride. The non-marking Vibram sole offers traction that can tolerate a variety of surfaces; it finishes off the entire sporty look of the shoe. The pair has a nice design and is lightweight. 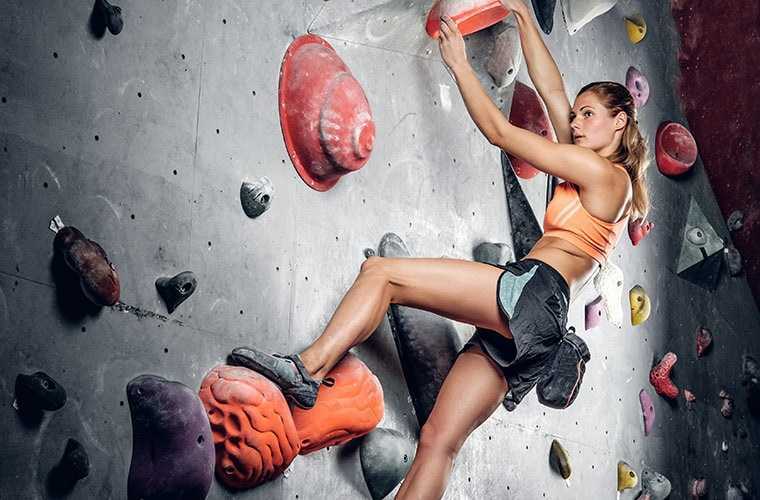 It covers all the angles for added protection, so it makes for a nice pair while climbing. 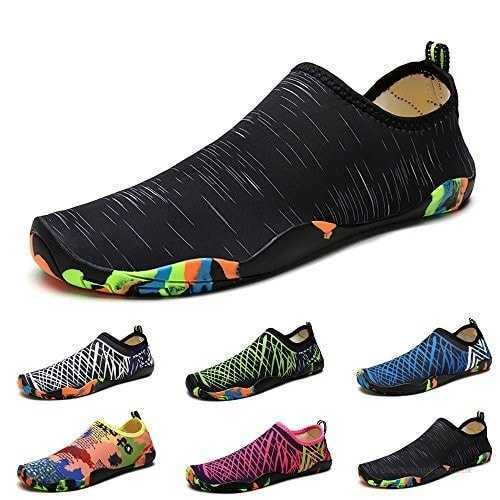 It includes an upper mesh, which will allow water to drain from the shoe once you are back on land and will also provide ventilation for your feet to remain cool when walking or hiking. If you like hiking and often go for trails that have streams, this is a shoe that will do the job rather nicely. The Maipo drains water easily, as it has the ability to dry quickly. 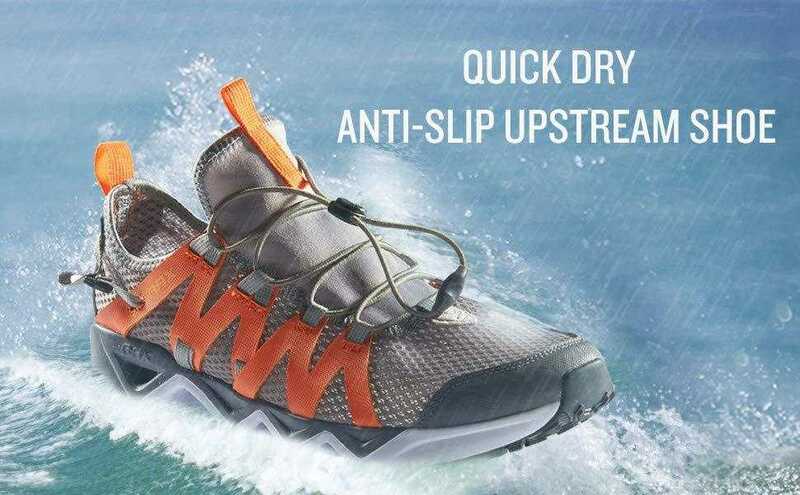 You don’t need to walk in wet, water-soaked shoes anymore, since a few minutes of trekking or letting the shoes sit under the hot sun will quickly dry the pair. They are especially nice to wear during muggy hikes because of the superior ventilation. With the shoes being so lightweight, you will have sufficient flex and will be able to move quickly. 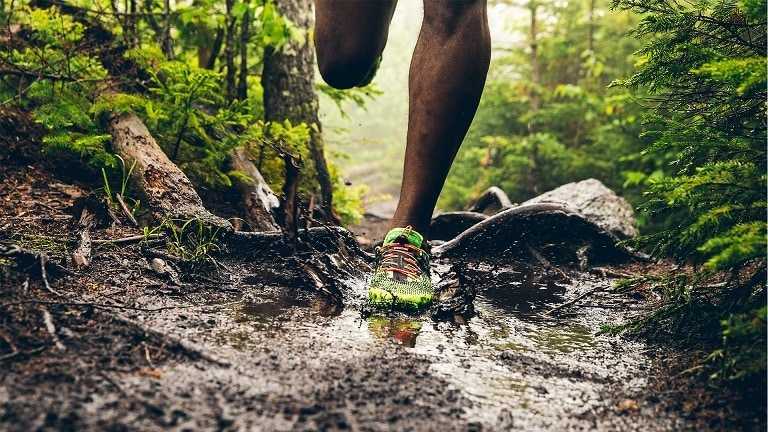 This durable pair can tackle any kind of trail or terrain; you can go through sand, mud, water, and city streets, and it will not succumb to wear and tear. To avoid getting blisters, you can always adjust the ties of the shoes to guarantee that your feet will not move about inside the footwear while hiking. If you frequently hike through water sources like rivers and streams, this pair is highly recommended. The top part of the heel can be easily adjusted, and smaller straps are included with the shoelaces to allow for a secure grip on your feet. This is not a waterproof pair, but they are constructed for use in the water. If you hike in locations with a warmer climate, it delivers excellent ventilation. 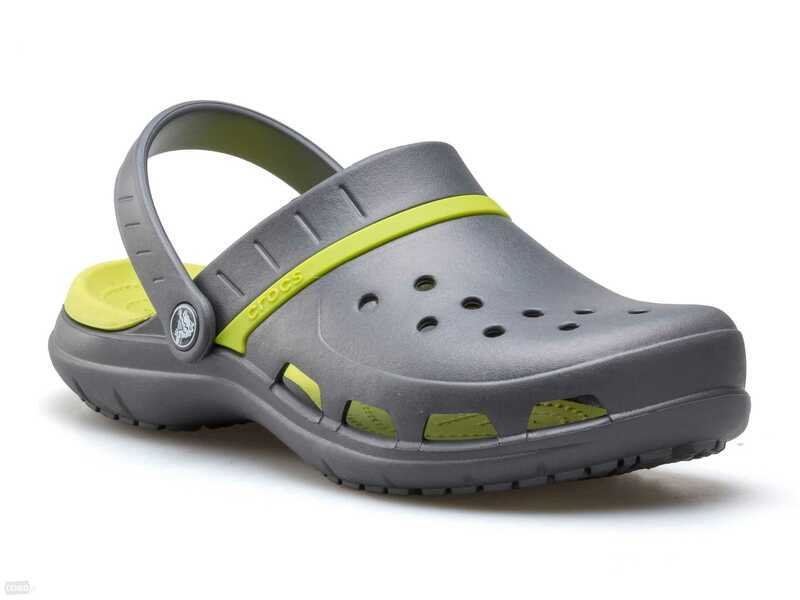 The sole provides great traction, and the heel and toes are sturdy and effective. The construction delivers excellent support all over and eases sore pressure points often found in the center of the user’s feet. 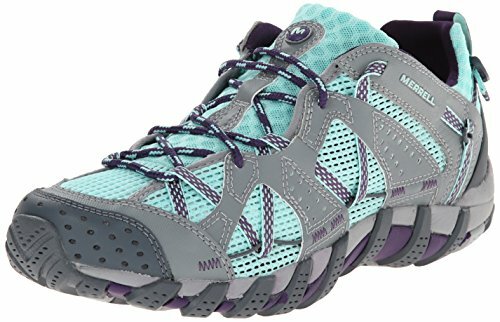 All in all, this is a great pair of water shoes for women who love to hike or trek. The Waterpro Maipo does pose a few issues, though. The rubber in the toe area is hard and can rub against your toes, making it uncomfortable to stand or walk while wearing the shoes. The shoes could benefit from improvements on the fabric, which could be doubled beneath the rubber so users won’t feel the rubber material cutting into the toes each time they walk or run. 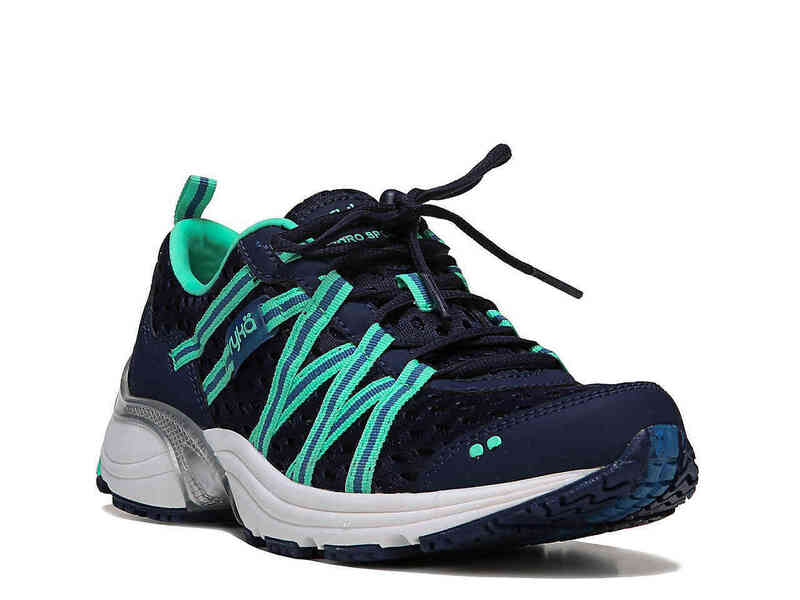 The Merrell Women’s Waterpro Maipo Water Shoe is a good pair if you want something durable and sturdy. It can tackle a nice range of terrain, from sandy locations to rough and craggy areas to wet surfaces to city concrete. However, if you are concerned about comfort, this might not be the pair for you, since the rubber toe area can be uncomfortable. However, it still acquires high marks with its quality materials.